After arriving on the bullet train to Hiroshima station and a bus ride through the city, we continued to visit an oyster farm (photo). 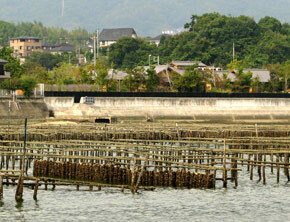 Hiroshima produces 60% of the Japan's oyster production, from 25,000 to 30,000 tons of oysters per year. 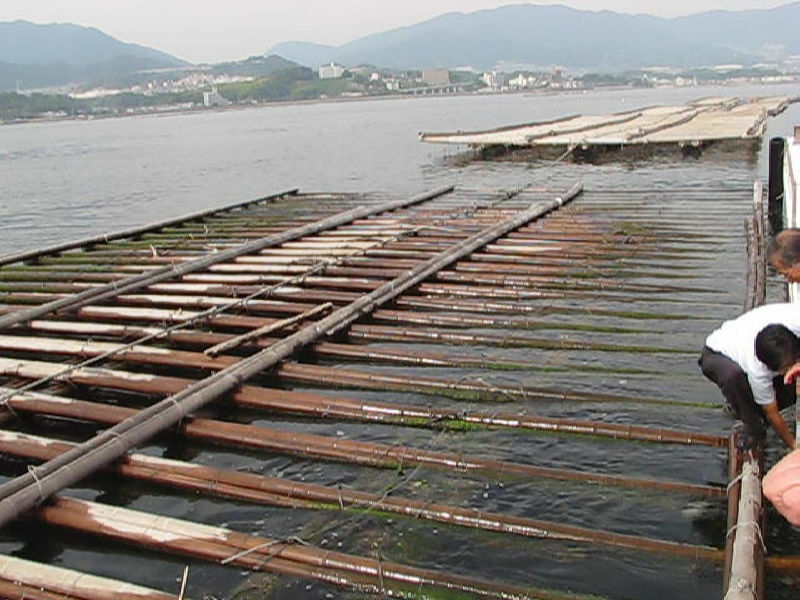 The first written record of oyster cultivation in Hiroshima can be found from the 16th century. The captain of the boat took us later to the Itsukushima island, popularly known as Miyajima - the Shrine Island, where we spend the day. 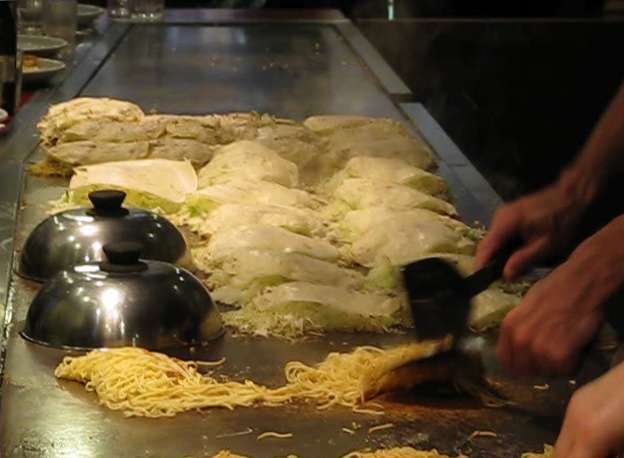 Hiroshima's cuisine is famous for it's okonomiyaki, usually cooked right in front of the customer (photo). I tasted okonomiyaki in a small rastaurant in Miyajima and liked the okonomiyaki sauce especially. 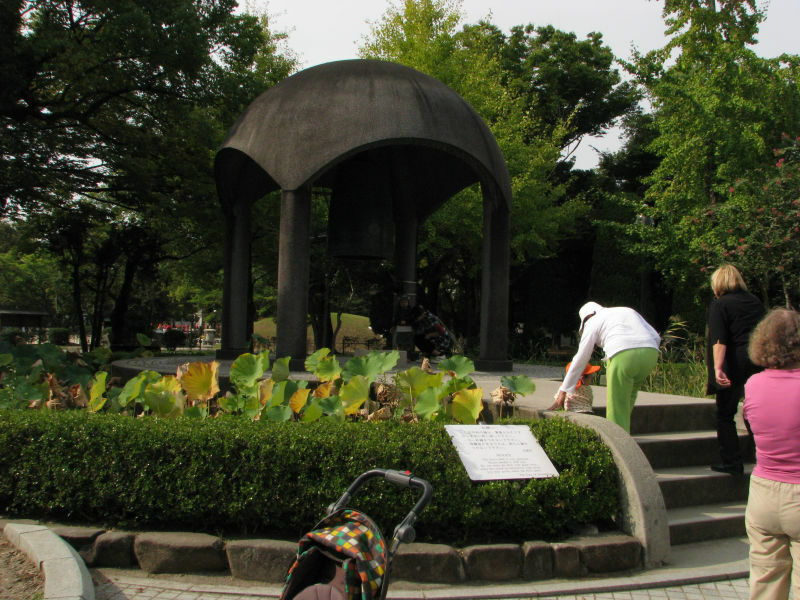 Next day we spent our time in the Peace Memorial Park: a park of 120,000 square meters holding the Atomic Bomb Dome (photo), the main facility Peace Memorial Museum and the Cenotaph for the A-Bomb Victims, Children's Peace Monument (photo) and Peace Bells (photo) etc. Hiroshima was the first city in history to be destroyed by an atomic bomb (1945). Seeing the museum's photos, videos and reconstructed models, it's no wonder people of Hiroshima and Japan want to remember and teach children what happened. Maybe the younger generations will learn. 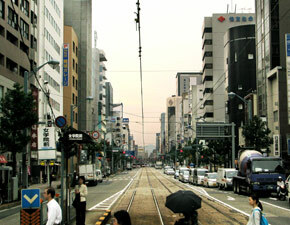 Hiroshima is built on the Ota River delta along the coast of the Seto Inland Sea in the western part of Honshū island. Its sheltered location on the inland sea gives it one of the mildest climates in Japan south of Hokkaido. Hiroshima city is divided by the Ota river's seven arms into six islands, and has therefore many brigdes. Hiroshima is best known as the first city in history to be destroyed by an atomic bomb, when USA dropped it at 8:15 am on August 6, 1945, near the end of World War II. 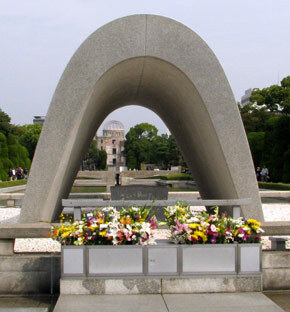 Hiroshima was founded in 1589 by the powerful warlord Mōri Terumoto, who made it his capital. Hiroshima Castle was quickly built, but in the Battle of Sekigahara the winner, a shogun Tokugawa Ieyasu, gave Aki province with Hiroshima to Masanori Fukushima, a daimyo who had supported Tokugawa. The castle and rule was passed to Asano Nagaakira in 1619, and the city prospered, developed, and expanded with few military conflicts. The city became the capital of Hiroshima prefecture in 1871 and when Ujina Harbor was build in the 1880s, it became an important port city. Japan's reforms under the Meiji emperor with strong army and navy gave power to Sino-Japanese Wars (starting 1895 against the Qing Dynasty China) and Hiroshima had a significant role in governmental discussions there. In 1904-5, the Russo-Japanese War (over Manchuria and Korea), Hiroshima had a large-scale army base of operations and the city prospered. In 1941 the army and navy of Japan launched an attack on the American fleet at Pearl Harbor, Hawaii, and on the British on the Malay Peninsula. Hiroshima military installations and heavy industries were rapidly developed to support the army and to support the nearby massive Kure naval shipyard, home of the Imperial Japanese Fleet. When Japan recognized that a decisive battle on the mainland was likely, the First General Headquarters was placed in Tokyo and the Second General Headquarters at Hiroshima. In November 1944, full-scale air raids were begun by U.S. forces, causing widespread destruction in the cities of Japan, but were not executed in Hiroshima. 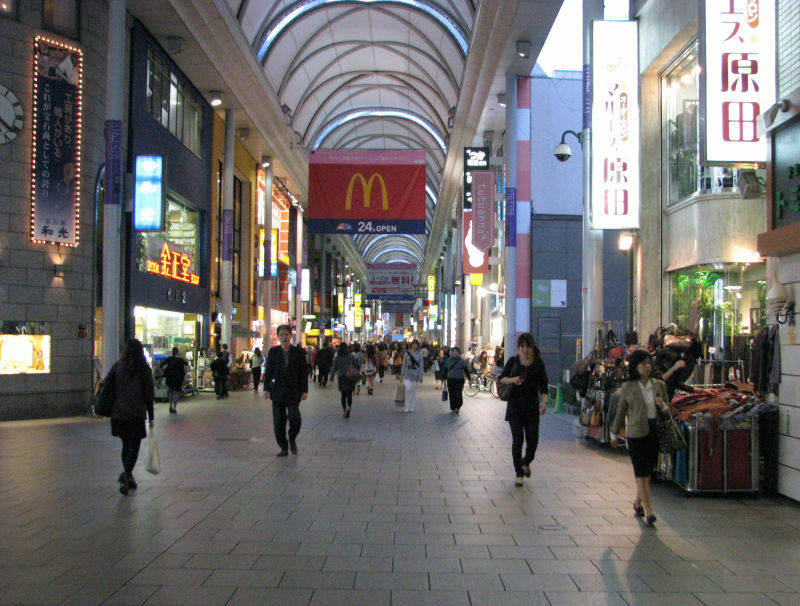 So during the World War II, major army and marine headquarters located in Hiroshima and the city also had large depots of military supplies, and was a key center for shipping. 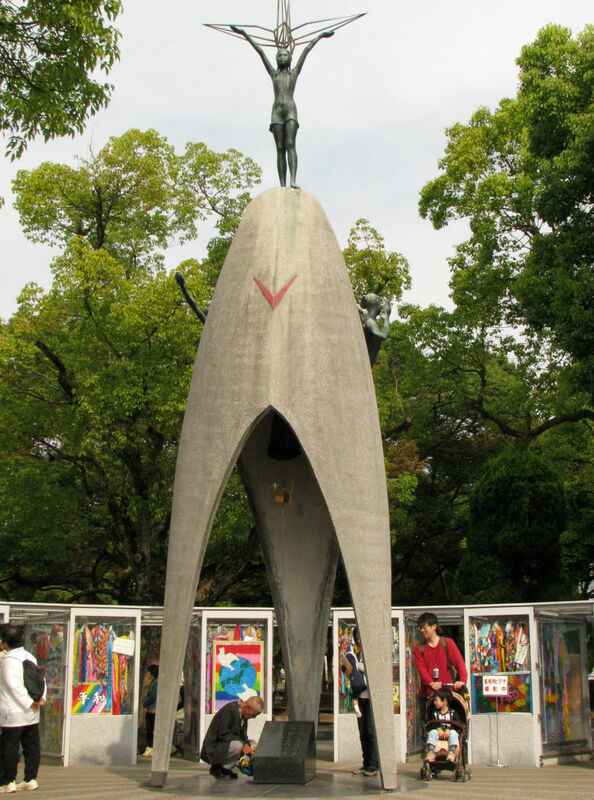 On Monday, August 6, 1945, at 8:15 AM, the nuclear bomb "Little Boy" was dropped on Hiroshima by an American B-29 bomber, the Enola Gay, directly killing an estimated 80,000 people. By the end of the year, injury and radiation brought total casualties to 90,000–140,000. Six days after the detonation over Nagasaki, on August 15, Japan announced its surrender to the Allied Powers, signing the Instrument of Surrender on September 2, officially ending the Pacific War and therefore World War II (Germany had already surrendered on May 7). During the year after the bombing, approximately 40,000 U.S. troops occupied Hiroshima, while Nagasaki was occupied by 27,000 troops. The bombings led, in part, to post-war Japan's adopting Three Non-Nuclear Principles, forbidding the nation from nuclear armament. 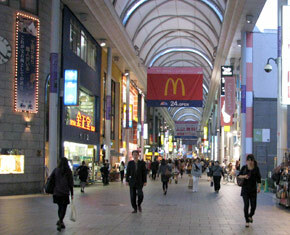 Hiroshima's main industries include automobiles and shipbuilding . 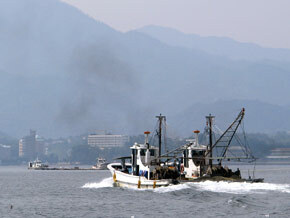 Much of the coastal economy is also tied to fishing and 60% of oyster production comes from Hiroshima. 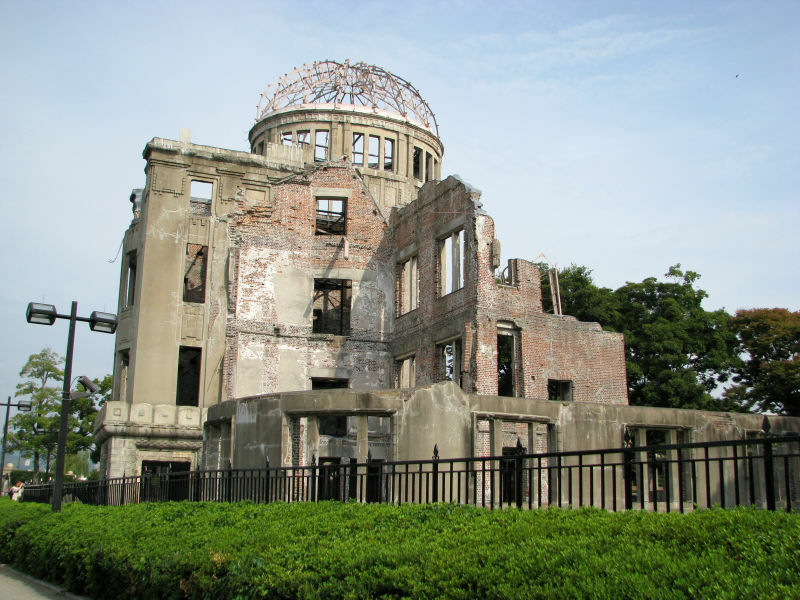 Hiroshima has many high level research institutions to promote the technological development and have a growing economical significancy of the high-tech industries like electronics, electronic parts and telecommunications. 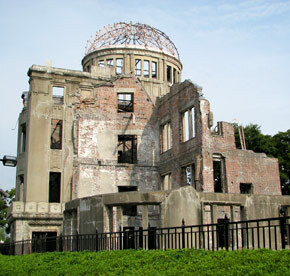 The Atomic Bomb Dome, a World Heritage site.